If your family is living in a home built before 1978 the answer is, YES! Your family may be at risk for lead poisoning. Long term effects of lead poisoning include seizures, coma, and death. Don't wait until it's too late; get your home tested today. If your company performs work on pre-1978 construction and doesn't follow Lead Safe Work Practices, the answer is, YES! To protect your company from being fined up to $5,000 call us today for a Lead-Based Paint Inspection. If the property tests negative for LBP your company won't need to follow LSWP. 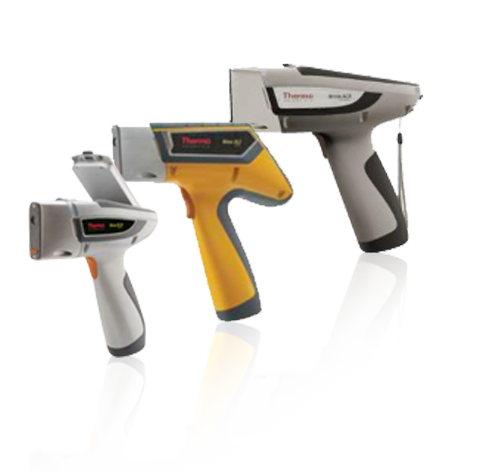 At Lead Testers we use the latest in technology to bring you fast, accurate, and legally binding results. Our State and Federally Certified Inspections not only hold up in a court of law, protecting your Family, Company, Project, Property, and Home, it also is quick and easy. Lead Testers is the first Lead-Based Paint Inspection Company in Wichita, KS using the latest technology to bring you fast, accurate, and legally binding results for your residential or commercial property. Whether you need to test a property for an upcoming project, clearance testing for window replacement projects, or if you are just looking for peace of mind, we are here to help. Wichita’s leading Lead-Based Paint Inspection Company, Lead Testers, is here to provide you with Certified results. The certification that we provide is recognized by both state and federal governments. Our top notch Risk Assessors are licensed to ensure you receive accurate and legally binding results. Our team has over 25 years of experience in the environmental inspection industry and over 14 years in Lead-Based Paint Inspections. Lead Testers has the experience and industry knowledge to serve your family or company’s best interests. Contact one of our Risk Assessors and LBP Inspectors to give you a Certified Inspection for your pre-1978 window, door, siding project, interior remodeling project, or for your entire property. For peace of mind or as an extra benefit if you are buying or selling your home, you owe it to yourself to call Lead Testers today! By law, Remodeling Contractors are required to provide Pre-Renovation pamphlets and acquire signatures from owners of homes older than 1978 before beginning a project. We can provide you with these pamphlets and guide you through the proper submission of receipts and record-keeping to insure you remain in compliance with the State of Kansas and Environmental Protection Agency Regulations.